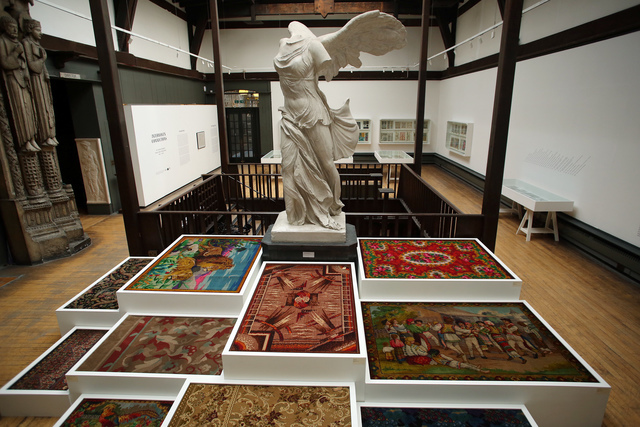 The Stoddard Templeton companies were carpet design and manufacturing innovators, based in Scotland. 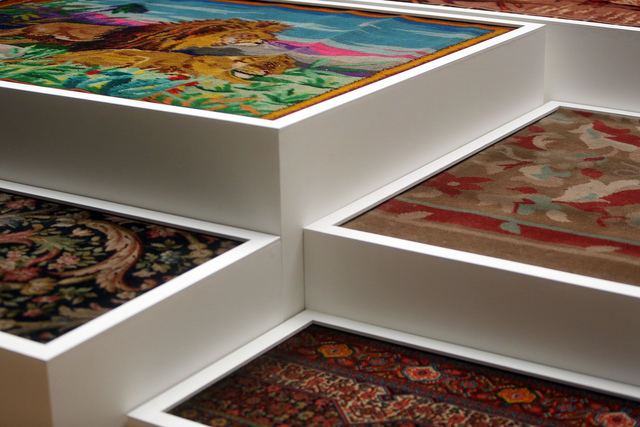 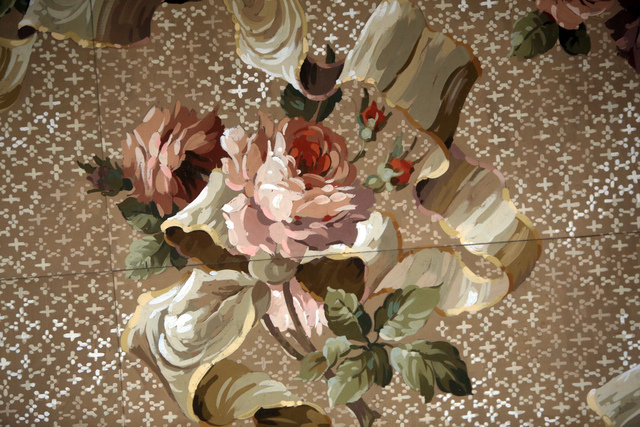 Throughout their existence they produced carpets for highly prestigious events and interiors. 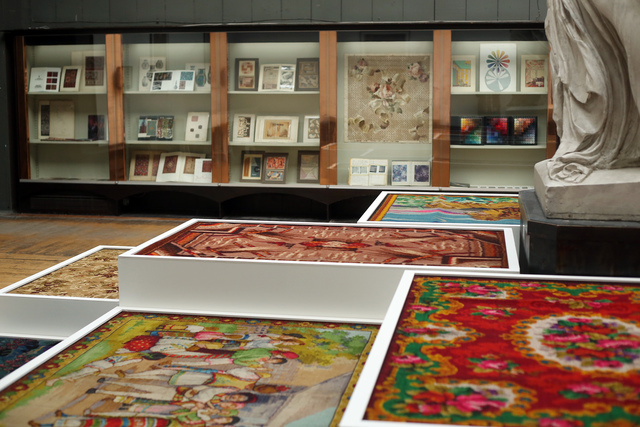 Examples include the royal coronations, Festival of Britain, for Cunard liners such as the Titanic and Queen Mary. 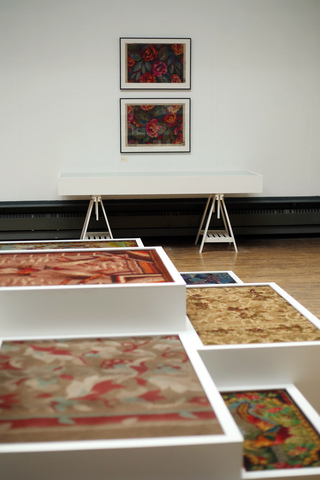 Other prominent venues for the companies’ carpets included various Palaces, Glasgow Cathedral, the White House and embassies throughout the Commonwealth. 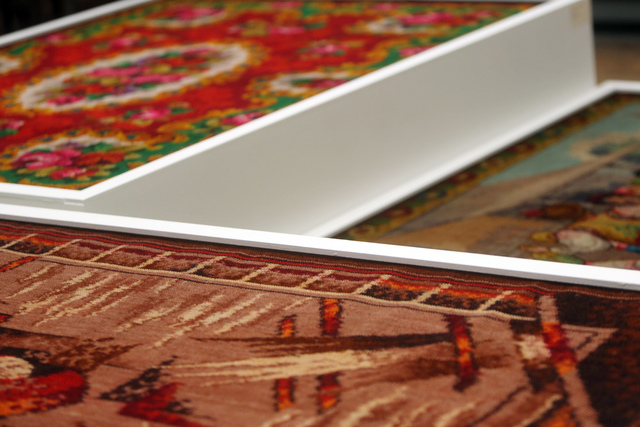 They also produced carpet ranges for the domestic market. 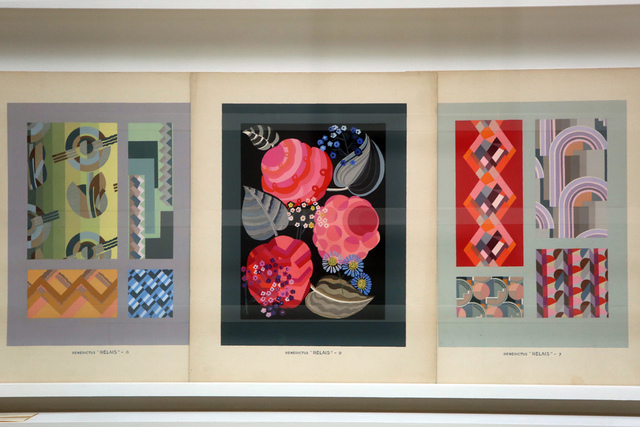 In addition to their in-house design team, Stoddard Templeton employed numerous reputable designers including Charles Voysey, Walter Crane, Frank Brangwyn, Marion Dorn, Enid Marx and Mary Quant. 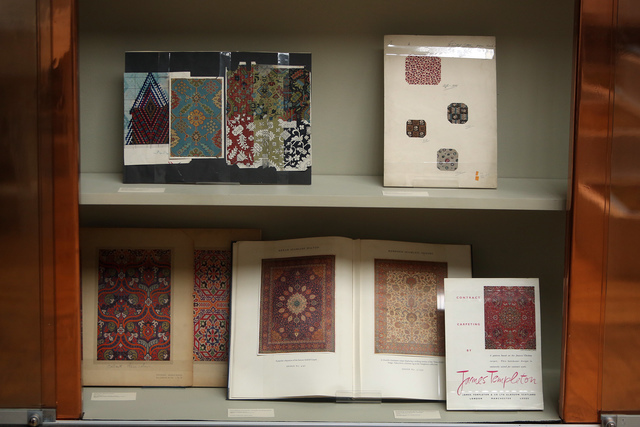 The companies’ foundations can be traced back to the 19th century with the formation of James Templeton & Co. and A F Stoddard & Co. By the 21st century, through various mergers and acquisitions, decline in demand for carpeted flooring, the remaining company, Stoddard International plc closed. 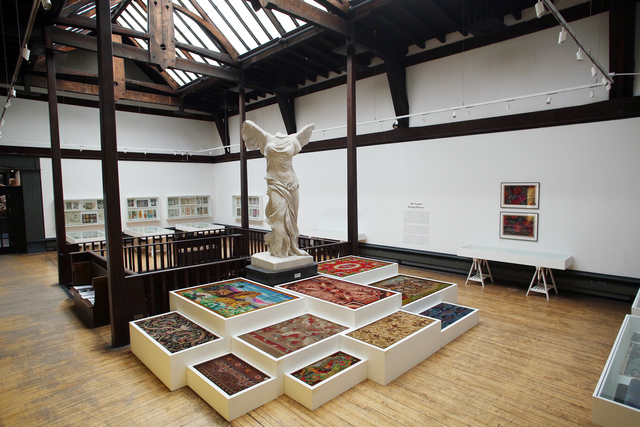 This exhibition focuses on the illustrious Stoddard Templeton companies from a design research perspective, to enhance carpet and therefore textile design understanding. 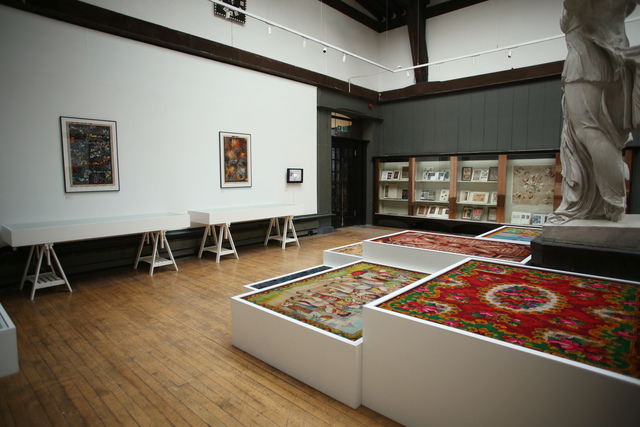 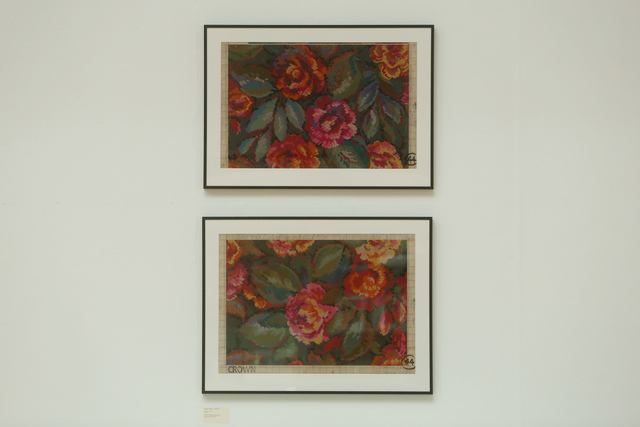 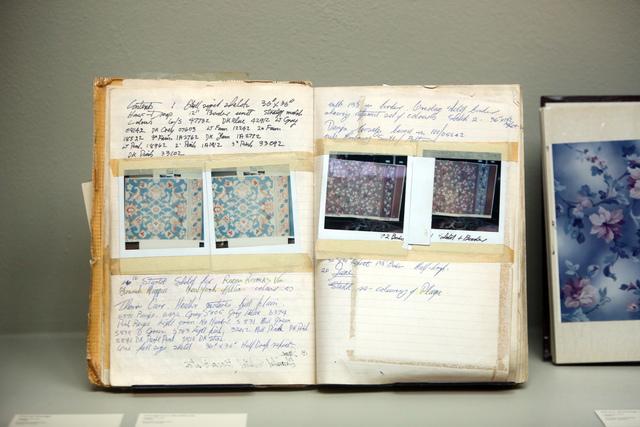 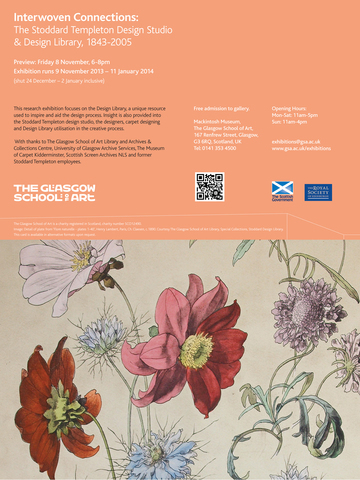 For the first time ever Stoddard Templeton material from the library and archives of The Glasgow School of Art and the University of Glasgow has been assembled with items from the Museum of Carpet, Kidderminster and personal archives. 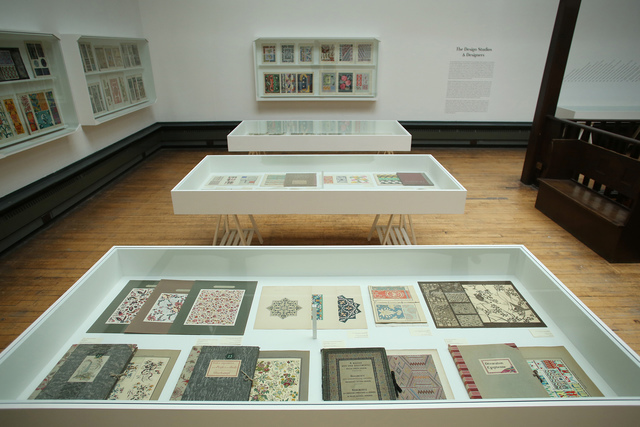 Divided into sections the exhibition begins with examples of references contained within the Design Library, used by Stoddard Templeton designers to inspire the creative process. 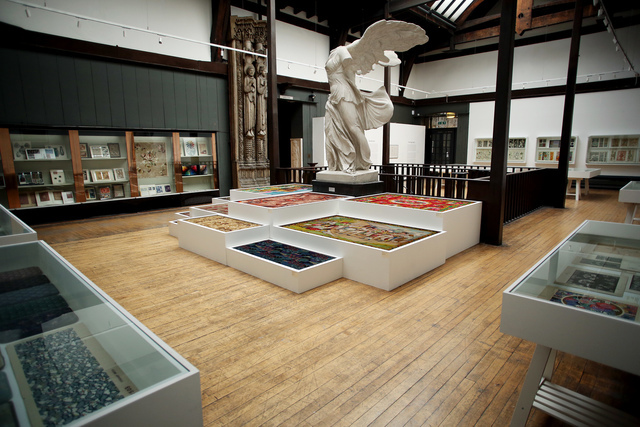 The focus then shifts to the Design Studio and the Stoddard Templeton designers, employed to work in-house. 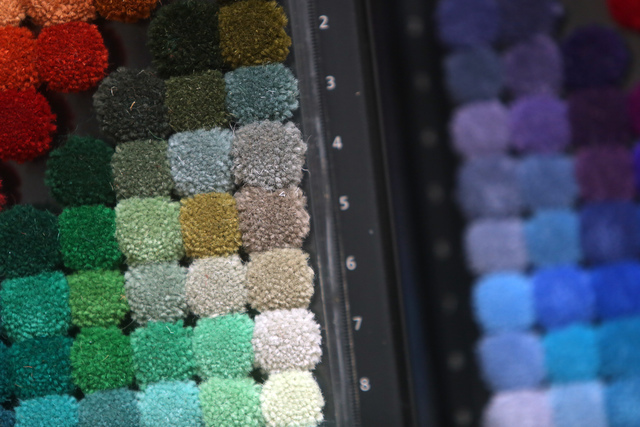 Design sketches, patterns, carpet samples, films and other references are used to provide insight into the carpet design process. 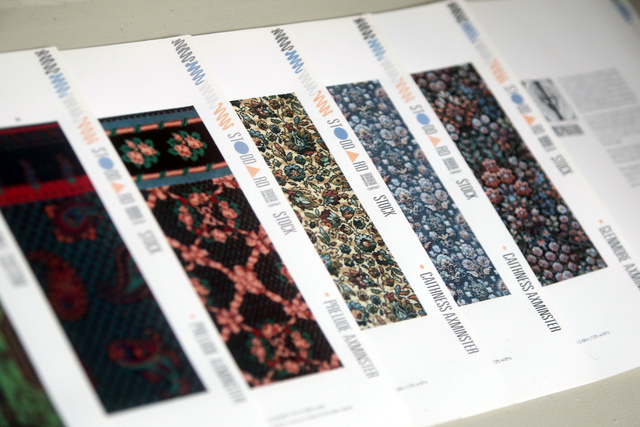 A selection of carpet sample examples demonstrates the range of designs and types of carpets produced by the prolific Stoddard Templeton companies. 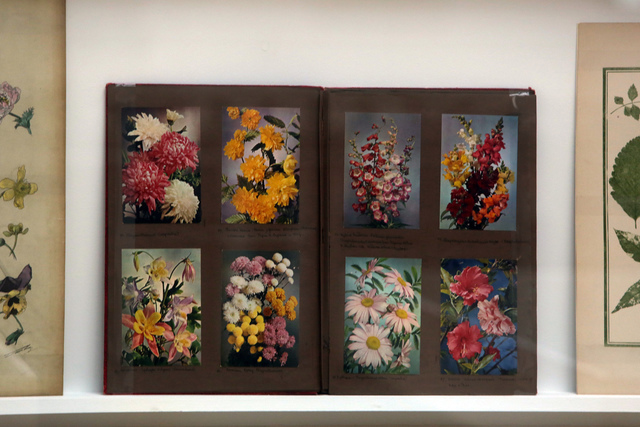 An catalogue accompanies the exhibition. 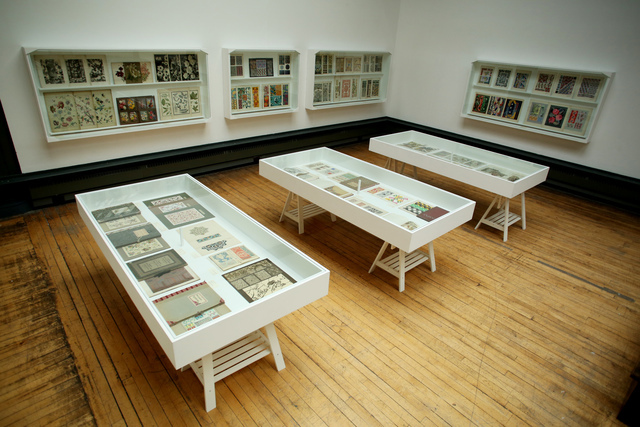 A publication has been produced to accompany the exhibition (ISBN 978-0-9567646-2-1) which includes a series of essays and a selection of accompanying visual material. 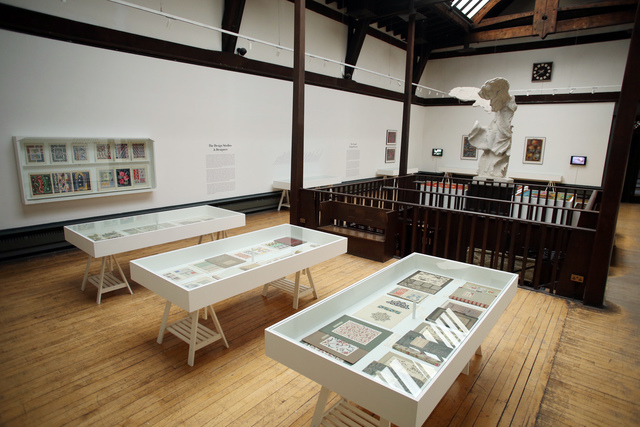 After an introduction which details the Stoddard Templeton companies historical background, contributions are made by staff from The Glasgow School of Art, namely Librarian, Duncan Chappell, Archivist, Susannah Waters and Head of Department of Fashion & Textiles, Jimmy Stephen-Cran. 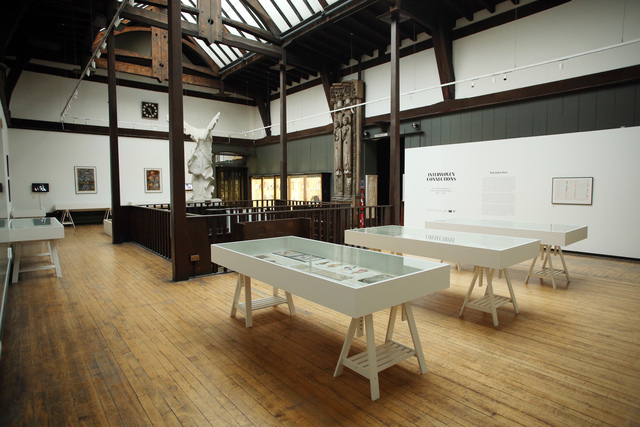 The subsequent content of the publication is reflective of the exhibition and discusses the design library, design studio, design process and design library utilisation. 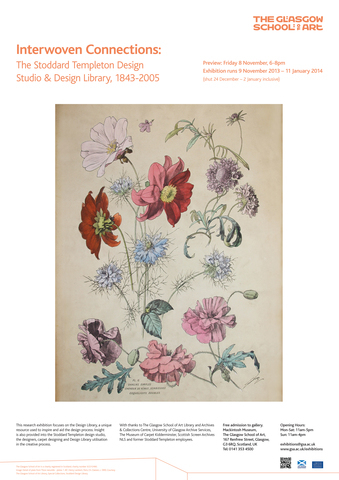 The concluding text focuses on areas of future potential activity surrounding the Stoddard Templeton Collection and acknowledges those who have assisted and supported the project. 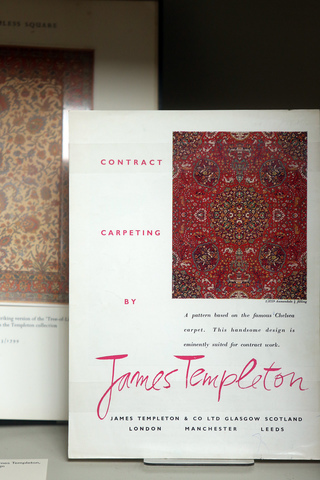 Stoddard Templeton, James Templeton & Co, A F Stoddard & Co, Stoddard Sekers, Stoddard International plc, carpet design, design library, design studio, archive utilisation, carpet industry, West of Scotland, Glasgow, Elderslie.